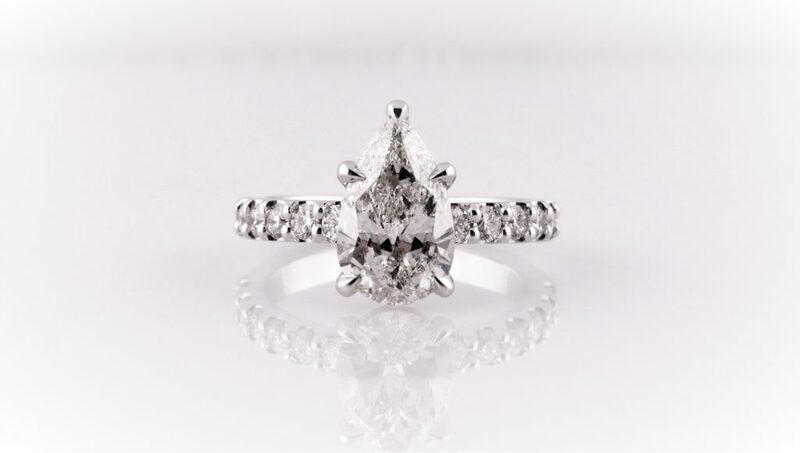 ADCO Diamond | Trending Engagement Ring Designs. With the warm summer days long behind us and Thanksgiving only a few weeks away, we are looking forward to the family gatherings full of good food, joy and love. What better time to introduce your fiance(e) to family and friends than the Holidays? 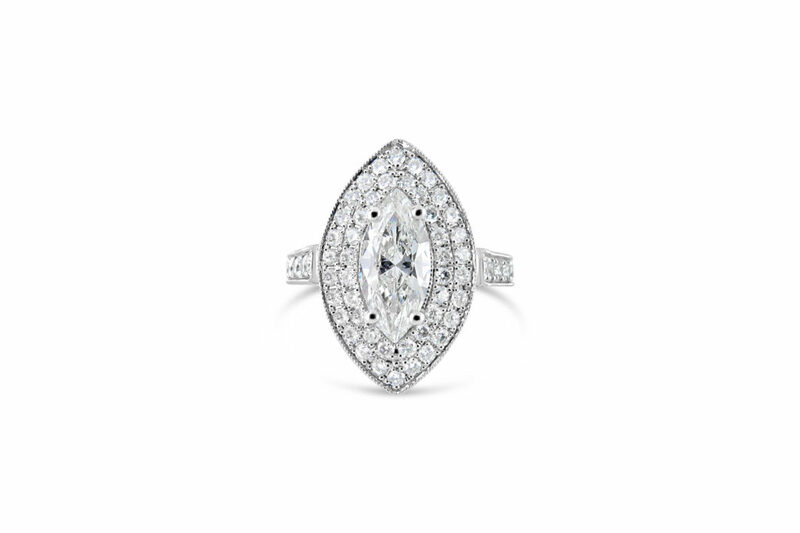 What better occasion than Thanksgiving to show off the beautiful ring? How about a sleigh ride or a ski vacation for the special moment, or New Year’s eve celebration?? 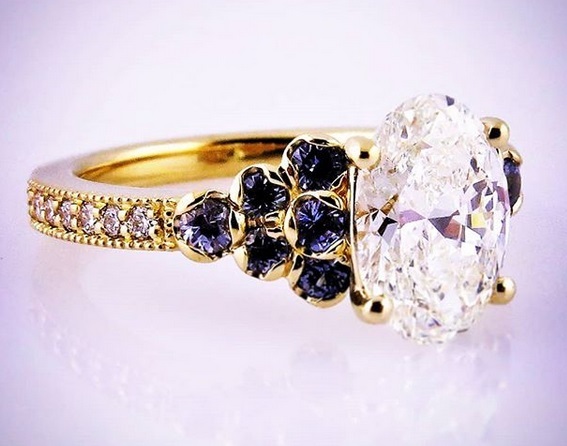 If you are ready to propose, here are some design ideas that are trending. 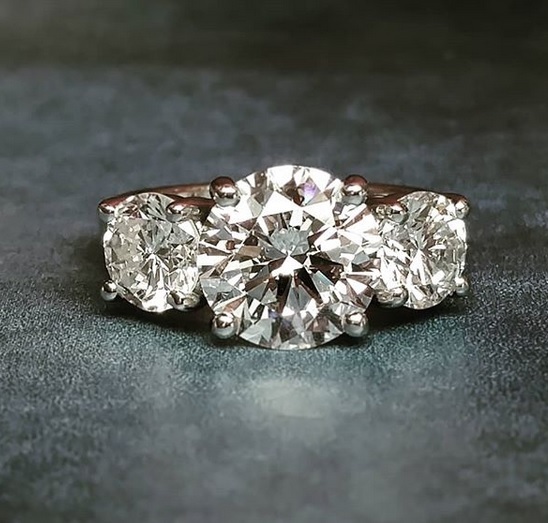 Rounds will always be loved, but lately, fancy shapes like pear and marquise are in great demand. Ovals are also very popular. Even though white gold/platinum is still the metal of choice, I am finding rose and yellow gold as the warmer choice for many ladies. 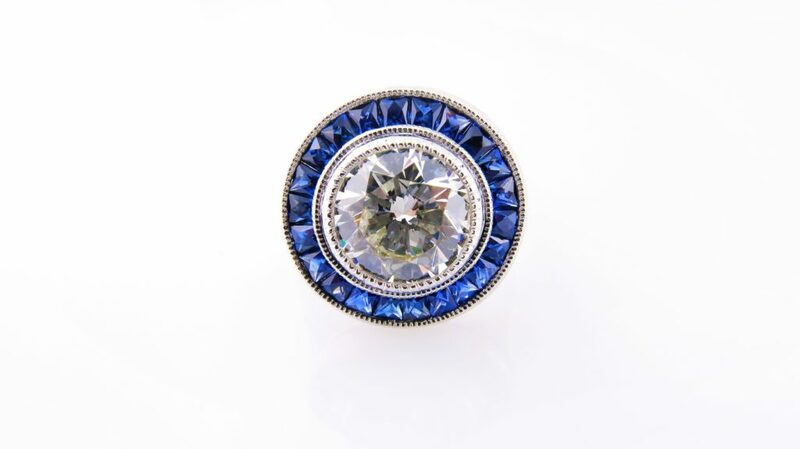 Another design that’s trending is the hexagon/octagon., with diamonds or colored stones in the halo. 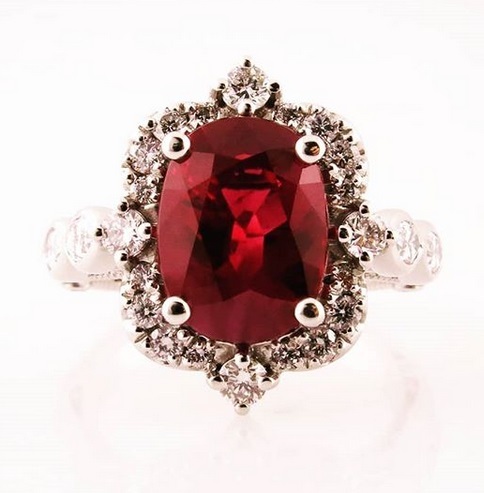 Antique designs are always a feminine and elegant choice. 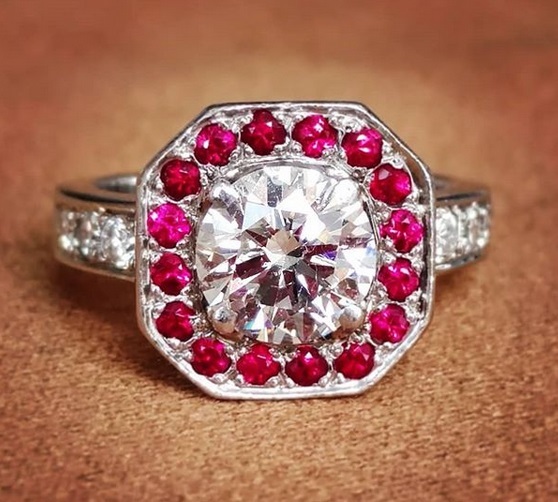 The trend is modern romance using scalloped curvy halos accentuated with diamonds with a diamond in the middle or a colored stone like a rare Burmese ruby. 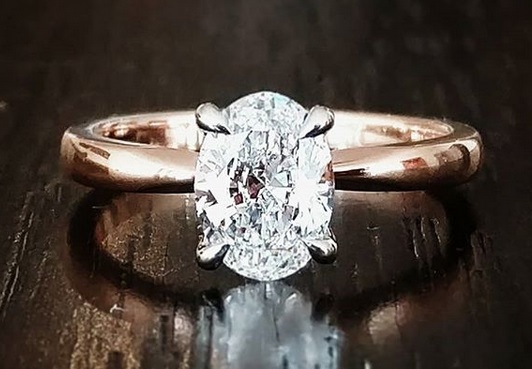 Of course, the classic 3 stone is being coveted as an elegant choice thanks to Meghan Markle’s 3 stone ring. 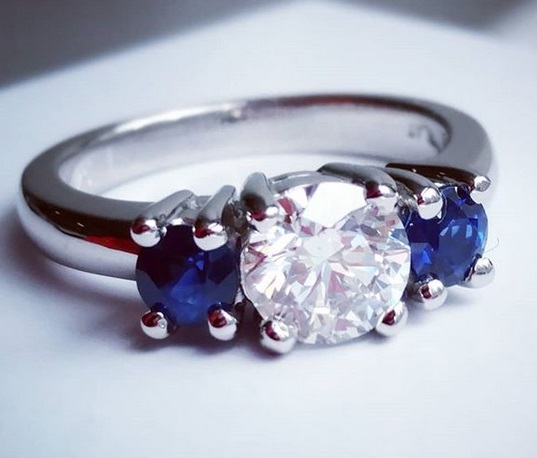 The classic 3 round diamonds set in custom made platinum, or the center round set with two beautifully matched Ceylon sapphires set in platinum will always remain as one of the symbols of love of all time. For pre-Thanksgiving and holiday proposals, it’s a good idea to start now. We are at your service and ready to help with the process! Contact at me, Aline, or Rina at 617.720.0752 or email at info@adcodiamond.com.